Dr. Futvoye is native of Jackson and holds professional degrees in both physical therapy and medicine. After graduating from the University of Mississippi School of Medicine, Dr. Futvoye completed a residency in orthopedic surgery at the University of Mississippi Medical Center. Dr. Futvoye then went on to complete a fellowship in joint replacement and adult reconstruction at Vanderbilt University, as well as at the Southern Joint Replacement Institute in Nashville. He is Board Certified by the American Board of Orthopedic Surgeons. 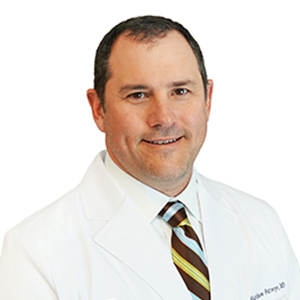 Dr. Futvoye specializes in total joint and adult reconstruction of the hip and knee, and is also known for the emphasis he puts on immediacy of patient treatment, while also advocating for patient input in their own treatment plans. Dr. Futvoye believes that when a patient is in pain, timely access to quality care is extremely important and his unique experience and training in both physical therapy and medicine makes him highly sought after and respected in the orthopedic community. When not at Capital Ortho, he enjoys hunting and fishing, as well as hanging out with his wife and four children. University of Mississippi Medical Center, Jackson, MS-B.S.